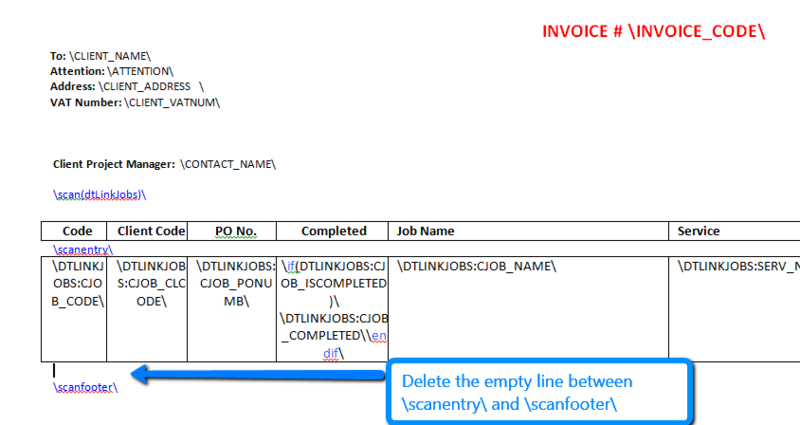 I have modified the invoice template but now I receive a blank line between the jobs in the job table portion of the generated invoice documents. How can I get rid of it? Please remote the blank line in the template code (between \scanentry\ and \scanfooter\ operators).